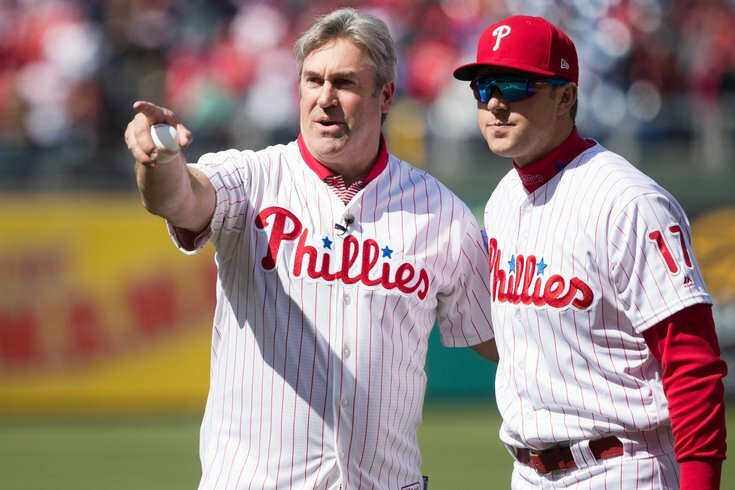 Philadelphia Eagles head coach Doug Pederson offers some advice to Phillies first baseman Rhys Hoskins prior to last season's home opener. While teams can still sign players at any time throughout the year, the NFL owners meetings typically mark the end of free agency, at least in terms of the addition or subtraction of players who are really going to matter. Got questions or comments? Jimmy Kempski has you covered on whatever may be on your mind about the Birds. Do the Eagles' signings make sense? Is there more to come? What are the Eagles' recalculated biggest offseason needs, and which positions are more likely to be filled early in the draft?